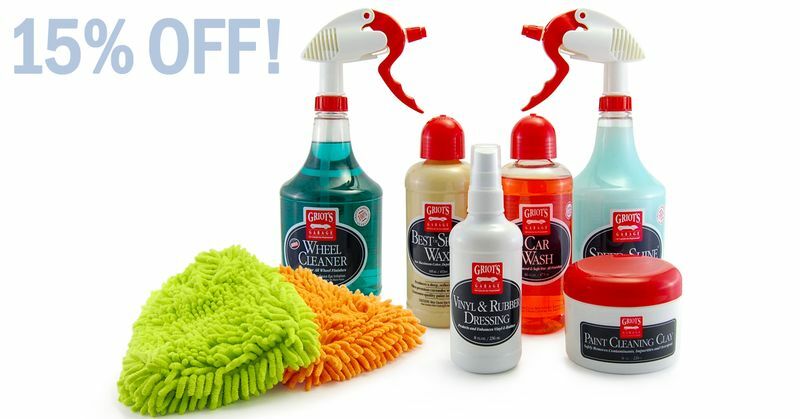 Shop all Griot's liquid car care products like Best of Show Wax, Spray-On-Car Wax, Speed Shine, Wheel Cleaner, Leather Care and much more! For yourself or makes a perfect gift to a fellow car care enthusiast! Enter promo code GRIOTS15 at Step #4 during checkout for your discount. Offer valid through February 22nd!